The last five Gopher losses flat-lined a mostly mediocre Big Ten career for Monson. A stiff but contrite Monson freely offered a mea culpa, hours after agreeing with Athletic Director Joel Maturi to step aside. "If the stigma of your program isn't going in the right direction, it's a really tough uphill climb," said Monson. "And I guess the toughest thing is to come to that realization -- that somebody might be able to have more success at going to the next level with this." Monson's stigma comes from more than just his overall record with Minnesota. He walks away winning slightly more than half his 224 games. But in that time he's seen only one NCAA berth, and never finished higher than fourth in the Big Ten. A strong season two years ago included an inspiring upset over Ohio State, and a 10-6 Big Ten record. But it's a peak among many more valleys. The team ended the 2005-'06 season in last place, the same spot as when Monson took over in 1999. The team's most recent loss to undefeated Clemson would not in itself have been the fatal blow. But it came after three embarrassing losses at the Old Spice Classic tournament in Orlando to Marist, Southern Illinois and Montana. The hole gets deeper with the inexplicable exhibition defeat by Division II's Winona State, then a blown 10-point lead against Iowa State. "This last week has been ... where are we? From the 10-minute mark of the Iowa state game through this morning has been an evaluation of where we're at," said Monson. The toughest thing is to come to that realization -- that somebody might be able to have more success at going to the next level with this. Monson says in the end, it's his job to recognize what's best for the team and the university, and that means handing the reins to someone else. Monson signed a seven-year, $700,000 a year contract with the U of M in 1999 after taking Washington State's Gonzaga University to the NCAA finals. He inherited a Gopher men's program crippled by an academic cheating scandal that infected the team under head coach Clem Haskins. Monson was charged with cleaning up the program's image and navigating the team through recruiting and scholarship sanctions. Monson admits he only partially succeeded. "I think it is a program with great respect off the court. Academically, it always has challenges, but it's in the right track. It's got great young players in it," Monson said. "It's time for somebody else to make the next step, and that's to have more success on the court than I had." At his best, Monson attracted star players like Kris Humphries, Rick Rickert and Joel Pryzbilla. But all three quickly jumped to the NBA, hobbling the team's momentum. This year, Monson was left with no seniors whatsoever. Athletic Director Maturi says he doesn't place all of the blame on Dan Monson. "Quite frankly, if they'd played a little better we wouldn't have had this meeting -- so we're all a little bit at fault," said Maturi. "The fact is, if I could have done something more as athletic director, and Dan done a better job as head coach and the assistants done a better job of what they did, we wouldn't be here today. The fact is we haven't succeeded." In the end, any athletic team has to succeed by bringing in fans, and Monson's tenure has seen up-and-down attendance at Williams Arena. Games last season averaged fewer than 12,000 fans for a venue that can hold around 15,000. Even as this season's fan attendance continued to dwindle, Maturi insisted that wasn't the main reason Monson is going. "I've said to you very openly and honestly that I try to keep the business side out of these kind of decisions. And I'm not naive in saying that. I understand the business of big-time university athletics. 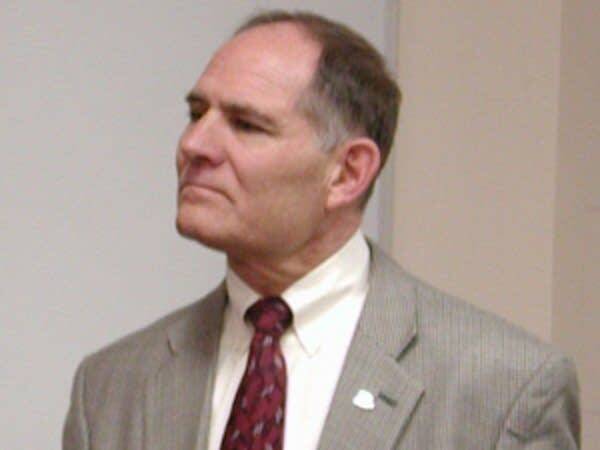 But I've tried hard to stay true to my values and the values the University of Minnesota upholds," said Maturi. Monson leaves with a $1.1 million buyout from the university. 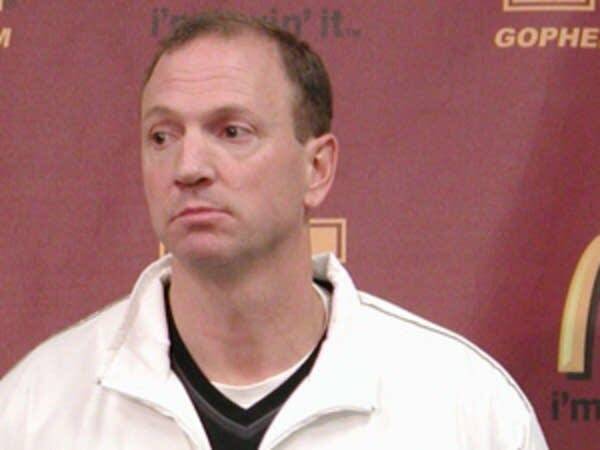 The Gophers' assistant coach Jim Molinari with take over the team for the remainder of the season.